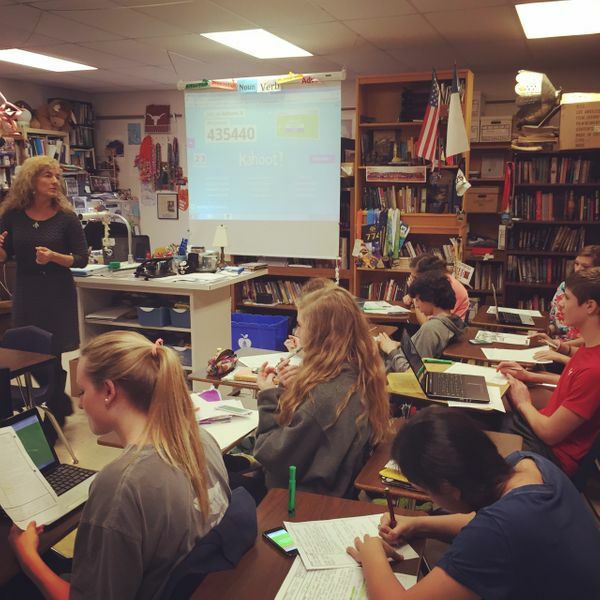 Day 119: Kahoot makes learning fun! I got the chance to play a game of Kahoot with Ms. Brennan's 7th period English class today. Wow! Ms. Brennan seamlessly integrated technology, history, literary devices, and reading strategies throughout my entire visit. Every kid was so engaged with the Kahoot game, but was also able to back up their thinking with evidence from their assigned reading when asked. Excellent work!